1. To what recent news item does this cartoon refer? Explain the controversy surrounding this news item. This is controversial among Democrats, who have called on him not to run. Third party candidates hurt the candidate of the party to which they are most aligned. A third party candidate could change a state’s winner by gaining enough votes that would have otherwise gone to the major party. 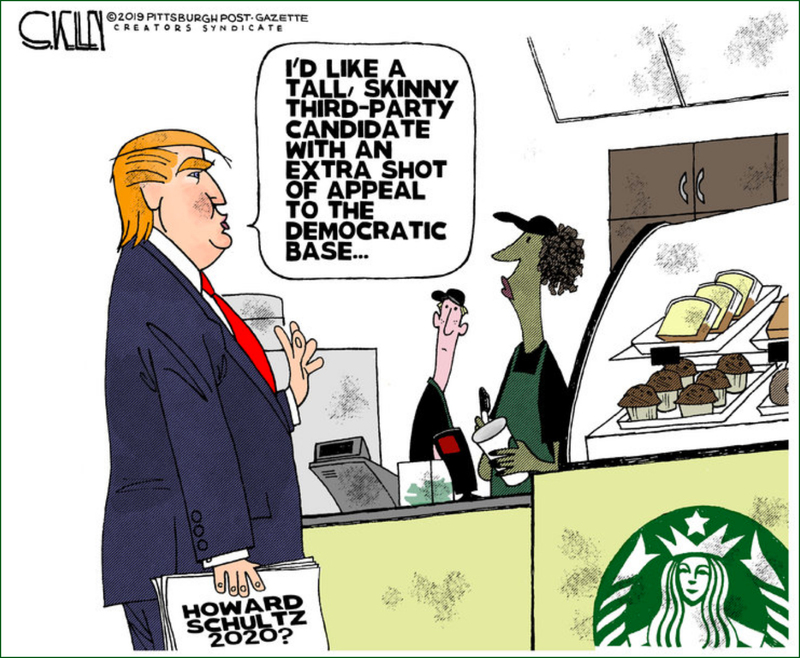 In this case, states that would be won by the Democratic presidential candidate could possibly be lost if some Democratic voters voted for the independent Democrat-leaning Howard Shultz, thereby ensuring Donald Trump win re-election. CHALLENGE QUESTION: In 1992, Ross Perot ran as an independent and won 19 percent of the popular vote, in the most successful third-party bid in U.S. history.